Tonight was yet another stair practice in downtown Los Angeles. I went with essentially one goal, and that was to do my first climb for speed. 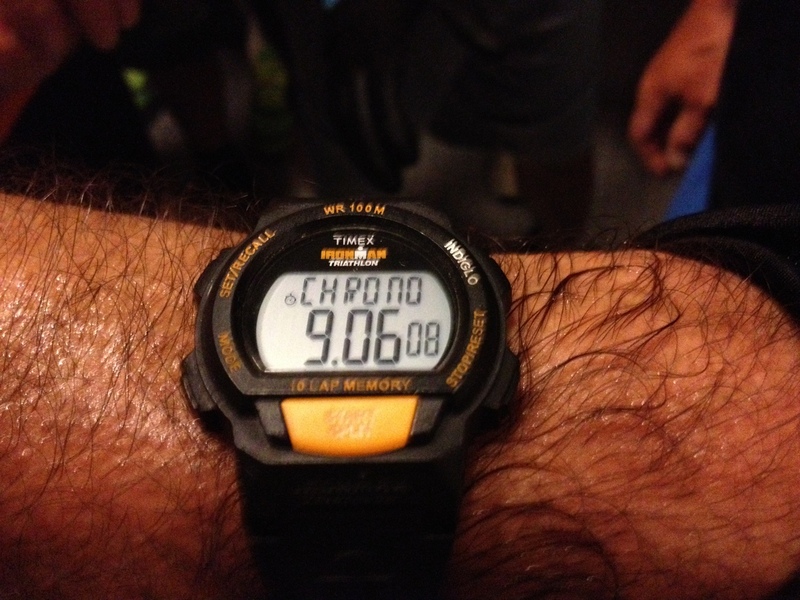 I worked out a pace, aiming to be at the top in about 9 minutes. Not the fastest I can do, but a reasonably brisk pace. This worked out to about 5 2/3 floors per minute. I got changed and got in line for the stairs. I started my watch and headed up. At each time point, I checked the watch, and I managed to stay on target almost all the way up to the big landing on the 49th floor. The last two floors are bigger than the others, and I heaved up onto the 51st floor in 9:06. Close enough. After a too-slow freight elevator ride back down, I headed up again. 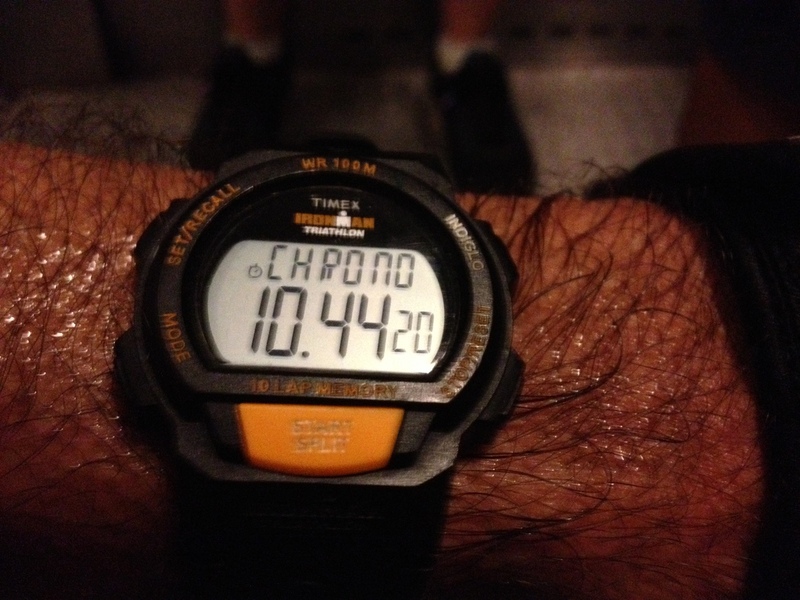 This time, my target pace was 4 3/4 floors per minute. This was aiming to get to the top in about 10:45, and the magic worked. I got to 51 at 10:44. I headed back down again. Checking the time, I knew I wasn’t going to have enough time to make five climbs tonight. But I wanted to try my ‘easy’ 11:22 pace the third time up. I’ve done this pace for four consecutive climbs before, and it’s usually pretty easy. I started up, and almost immediately, I hit the proverbial Wall. What is usually an easy climb up the stairs quickly turned into a Death March. It was so bad that I just turned off my watch about halfway up. Of course, after that horrible experience, I had to do it again. You know. Get back on the horse and all that. I didn’t even start my watch the last time. It was just a struggle for survival to get to the top. But I made it. Four climbs. A half-mile vertical.